To those of you who have supported myself and the studio these last for [sic] years, THANK YOU from the bottom of my heart and everyone who came to work for me. 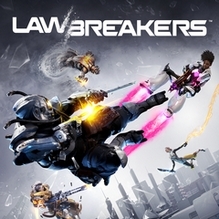 There has been no more solid confirmation yet on what the “near future” means for either Lawbreakers or Radical Heights. The games’ social media accounts have yet to respond to the news but if you’ve ever had an interest, sooner rather than later would be a good time to check them out. Radical Heights is free-to-play on Steam and PC while Lawbreakers currently goes for $30 on both Steam and PlayStation 4. Looking at the game’s playerbase on SteamDB, it’s not hard to see some of the reasoning behind the decision. Since the game’s launch on July 28th, 2016 the number of daily players dropped precipitously and by the Fall it regularly had just over 1,000 players each day. The “renewal” update in July generated a small peak when longtime players returned to find the game in drastically different form. One of the major changes in the update separated the characters and weapons into classes. Suddenly the guns that players had put the most time into were no longer available to the characters they preferred. Despite the improvements and additions this change apparently didn’t sit well with fans. The calendar and Watch List have been updated and the game page is now live.